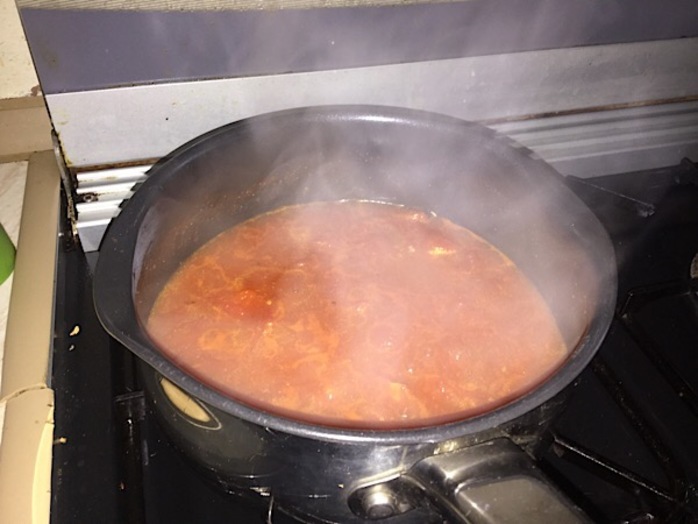 Arrabbiata is a spicy tomato sauce, used for pasta. Here the pasta is actually spiralised courgette/zucchini, which is mixed with onions and mushrooms for a tasty vegetarian dish. Simmer tomatoes, stock, garlic, and chilli in a saucepan for five minutes. Chop onions and mushrooms, add to the pan, and simmer for another 5 minutes. Spiralise courgette/zucchini, stir into the pan, and simmer for another 5 minutes.